Today, Crank Brothers launches four new pedals under the Stamp model name. 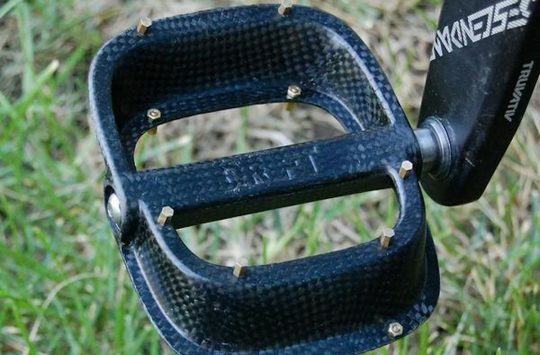 We’ve tested and reviewed the Crank Brothers Stamp flat pedals before, and were impressed with their grip and durability, along with the choice of two different platform sizes. 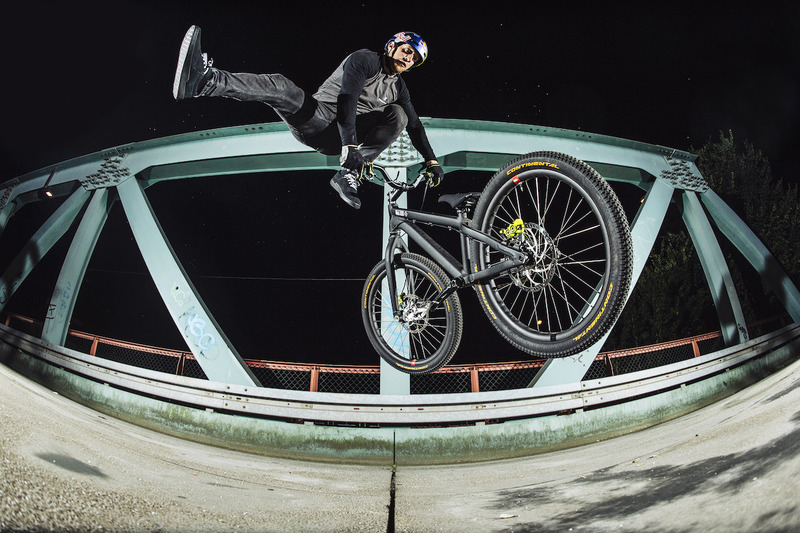 And now, Crank Brothers is aiming to bring that same performance down to a more attainable price point, and up to an all-new high too. Like Crank Brothers’ current range of clip-in pedals (such as the Eggbeater and Candy series), the Stamp pedals will now be available in a variety of different trim levels for different budgets and needs, with a numbering system denoting the level. The higher the number, the lighter and more expensive the model. The existing Stamp pedal remains in the range, but is now known as the Stamp 7. 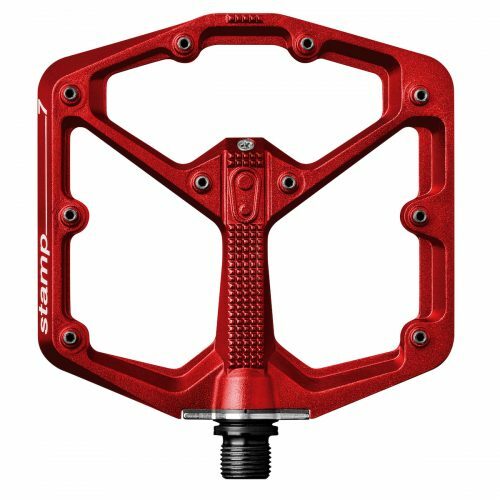 Joining the existing Stamp 7 are two cheaper models; the Stamp 3 and Stamp 2, and one higher-end model called the Stamp 11 – a pedal with titanium axles that is claimed to weigh less than 300g in the smaller size – pwoar! The Stamp 2 and Stamp 3 flat pedals are also available in Small and Large sizes, and feature adjustable pins too. 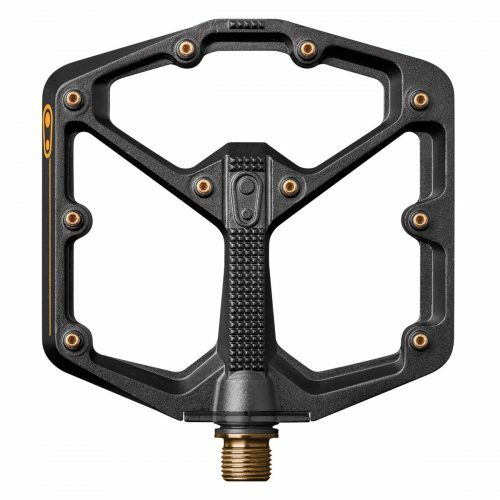 Despite the range of price points, each Stamp pedal features alloy bodies, the option of two different platform sizes, ten adjustable pins per side, and a 5-year warranty. We’ll take you through the details of each of the new pedals here, and we’ll also have a full review coming in the near future. We’ve had a pair of Stamp 3 flat pedals on test for the past couple of weeks, and while earlier signs are very good in terms of grip and feel, we’re keen to get a solid couple of months in wet and mucky weather before we bring you our final verdict on Crank Bro’s latest flatties. 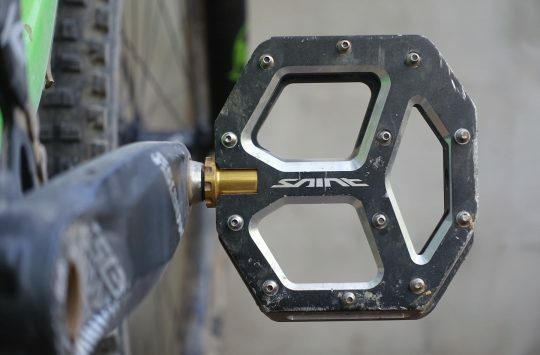 The mega-bling Stamp 11 flat pedals, complete with gold pins and titanium axles. Swag. 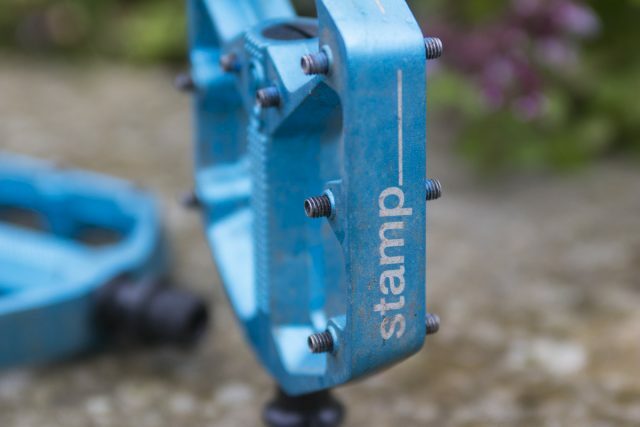 The current Stamp pedals are rebranded as Stamp 7. The all-new Stamp 3 pedal isn’t quite as thin as the Stamp 7, but it still gets a forged alloy pedal body and ten adjustable pins per side. 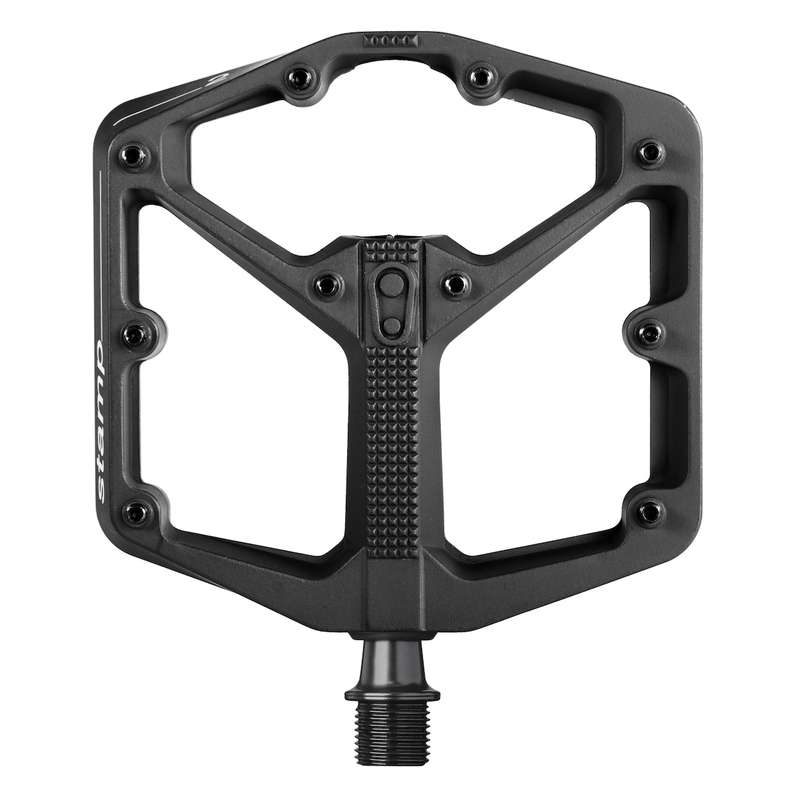 The entry-level Stamp 2 pedal is the start of the range, though it packs high quality internals and a 5-year warranty. The thicker pedal body is partly necessary due to the move to a more conventional cartridge bearing setup. 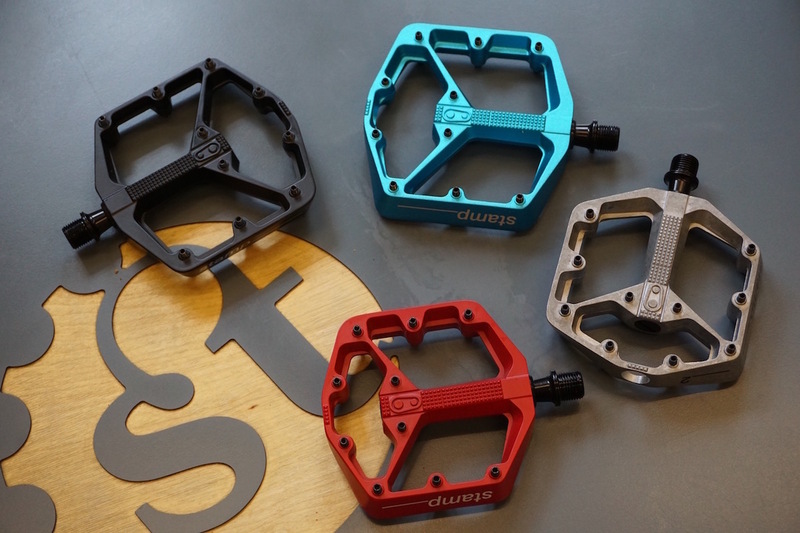 Just like the current Stamp pedals, the new Stamp 2, 3 and 11s are built around two different platform sizes. Got big feet? The Large pedal body measures a ginormous 114x111mm. Got wee feet? Then the Small size should suit, measuring in at 100x100mm. Crank Brothers states the crossover shoe size is around a US10/EU43, though some riders may prefer a bigger or smaller platform than what is recommended. Different height pins are available for increasing grip further. 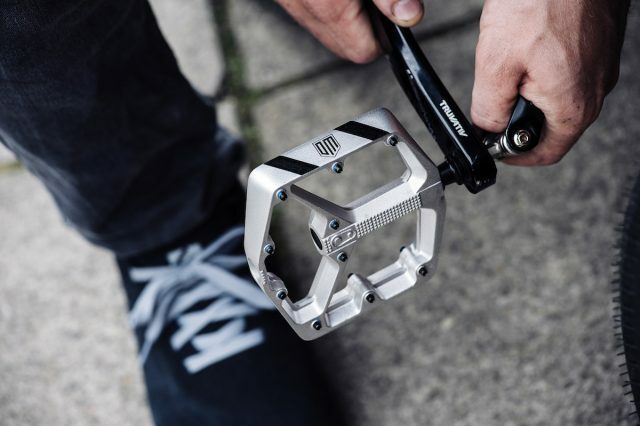 Whereas the current Stamp (now Stamp 7) and the Stamp 11 utilise a forged alloy pedal body that offers an incredibly thin concave profile that measures just 11mm at the centre, the cheaper Stamp 3 and 2 pedals use a thicker pedal body that sits at 16mm thin. 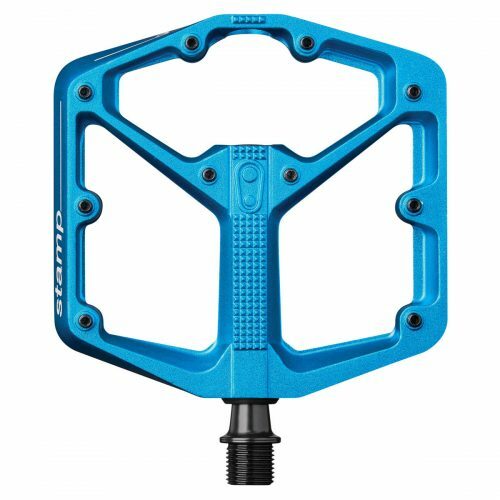 The Stamp 3 pedal body is made from forged alloy, while the cheaper Stamp 2 pedal body is made from die-cast alloy to save some coin. Signature Danny MacAskill Stamp 3 pedals. 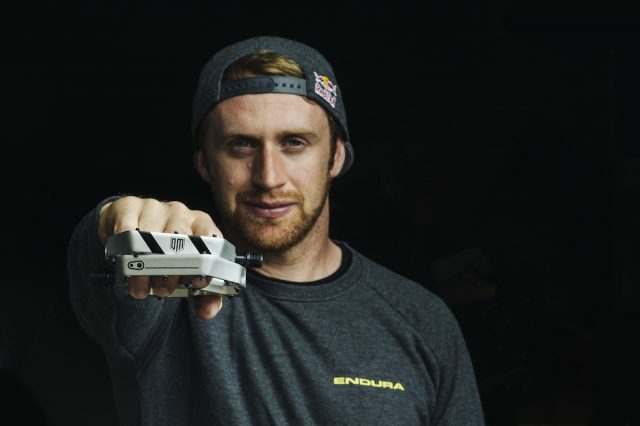 With Danny MacAskill being a Crank Brothers sponsored rider, the brand has given him his own signature pedal based around the Stamp 3 pedal. It’s got exactly the same features as the regular Stamp 3, but comes in a rather sleek silver finish with a ‘DM’ logo that refers to Danny’s initials, not ‘Dear Mum’. Cos that would make no sense. 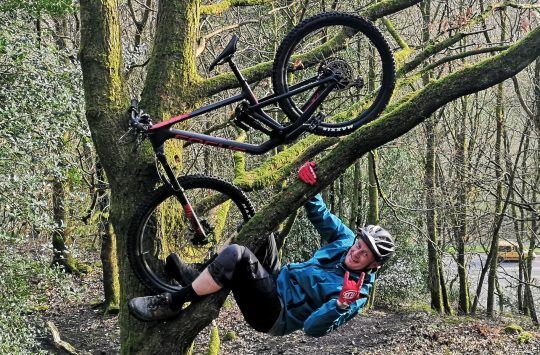 Danny not using pedals correctly. Danny still not using pedals to their full potential. 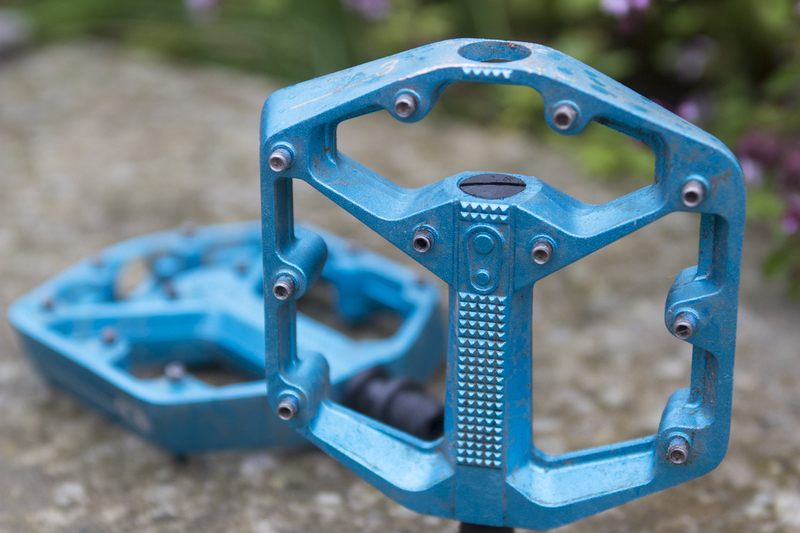 We have both a Small and Large pair of Stamp 3 pedals on test, so stay tuned for our full review in the near future. In the meantime, you can get more information about the new Stamp flat pedal range from Crank Brothers via the Extra UK website. Ok, I don’t like to bash products but the xpedo Spry is the same size, 265 grams and costs £35. They are also 1mm vs the 16mm of these. Pedals take a battering so I’d rather have 8 pairs of Sprys for the price of one of these. Where did you get those for £35?